NIOS Notification 2019.National Institute of Open Schooling has released a notification for the recruitment of Director, Deputy Director, Academic Officer, Assistant Audit Officer, EDP Supervisor & Junior Assistant vacancies.Check the eligiblity and notification prior to apply for the positions. Applicants must have possessed Senior Secondary/ Degree/ Master Degree from recognized board or university. Selection will be based on written/ trade/ skill tests. 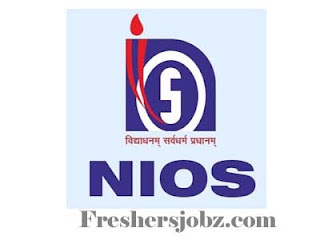 Go to official website nios.ac.in. Click “Vacancy” find the advertisement for above said posts, click on the advertisement. To apply enter you details correctly and make the payment.